Minicity Ljubljana now even bigger and sporting a new didactic playground area for teaching children about road safety • BTC d.d. Today, the creative children’s city Minicity Ljubljana saw the official opening of added space featuring new educational content. The opening was free-of-charge for both children and parents. With more than 1500 m2 of surfaces, Minicity Ljubljana has become the largest didactic and experiential centre for children in Slovenia. Children of up to 12 years of age, as well as their parents, just got the biggest playroom for games and learning in Slovenia. With the additional space, the creative children’s city gained another 7 new playground units (in addition to the previous 40), renovated birthday celebration rooms, access to and from BTC City Ljubljana Shopping Arena A, an internet corner for parents, a resting and reading room, and a new toy shop called Toys4U – Didaktične igrače. “With the expansion of Minicity, which was worth EUR 200,000, we can implement even richer contents, making it possible for children to learn about different professions and attain other practical know-how by playing games and using realistic props under the guidance of qualified animators. Among other things, they can now learn about safe road traffic participation in an innovative playground area featuring a tunnel and special effects,” said Minicity director Miha Culiberg upon the opening of the expanded Minicity Ljubljana, confident that the new features will also further enliven Shopping Arena A and provide families with some quality leisure. 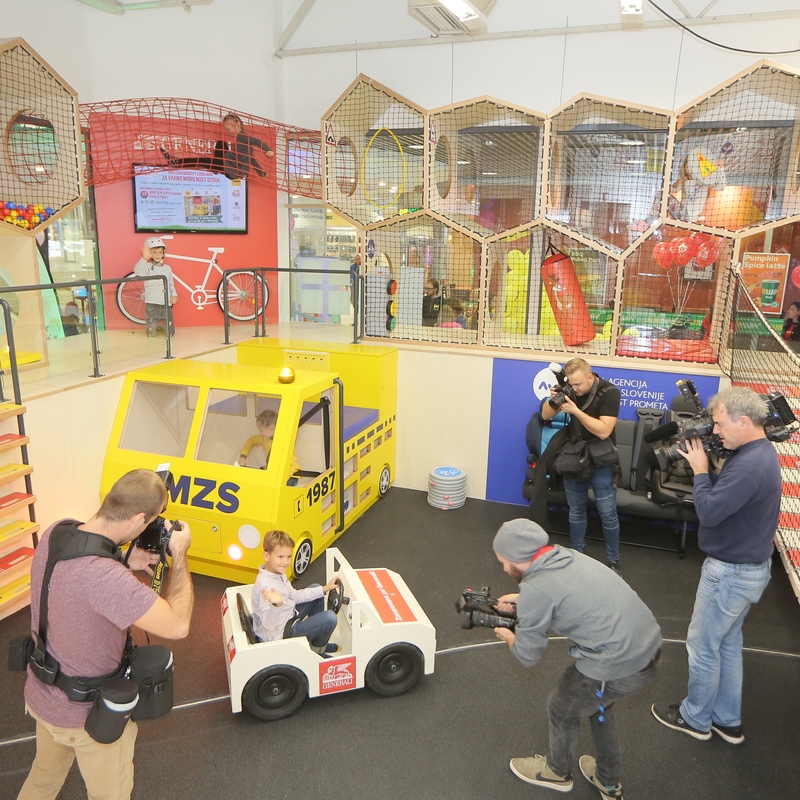 The main new feature of the expanded Minicity is the interactive motor-didactic playground area, which was built in cooperation with AMZS, the Generali insurance company, the Slovenian Traffic Safety Agency, and the company Toys4u – Didaktične igrače. They showcased its practical function to more than 200 nursery and primary school children. “Since the beginning of our operations on the Slovenian market, our insurance company has strived to efficiently support projects that enrich our common living space and contribute to greater safety, a more pleasant living environment, and greater wellbeing. An important area in which we wish to, and can in fact, attain good results is safe conduct in traffic, with special consideration for our youngest participants in road traffic, children, who are the most vulnerable and have the greatest impact on the habits of their closest family members with their attitude toward conduct and developments in traffic,” said President of the Generali management board Vanja Hrovat. “Our mission is the safe mobility of all, including our youngest, who are particularly vulnerable in road traffic since they do not yet know all the rules. At AMZS, we are proud that our contribution to the design and operation of the new interactive playground, in a manner that is interesting and understandable for children, will enable them to gain invaluable experience and know-how, which will improve their road safety. We are happy that, among other things, we can showcase our work and present to them the jobs of our employees, who make sure that the vehicles are always in good condition and that drivers can enjoy a safe and carefree ride, relying on our aid whenever unpleasantly surprised by a defect on the go,” emphasised mag. Lucija Sajevec, Director of AMZS. The company Toys4U also supports socially beneficial projects and wants to help future generations learn about safe conduct through the new interactive playground. “Raising awareness and teaching children about various traffic situations and road rules is a foundation that all parents should cultivate. Learning through playing yields the best results by far, and the new interactive playground facilitates precisely this: learning how to act in road traffic. We sell foremost quality didactic and interactive toys, tools and playground units, including those focused on road traffic safety. We are pleased that even though we are a small company, we could contribute to such a vital project, which will undoubtedly prove to be very positive for the kids,” said Director Anita Hozjan. The new acquisition of the largest Slovenian children’s didactic-experiential centre was greeted by famous parents Oriana Girotto, Rebeka Dremelj, Aljoša Bagola, Urška Drofenik, Sabina Kogovšek, Nina Wabra Jakič and Petra Greiner, who are all excited that Slovenia has gained a space where kids can upgrade their knowledge on road traffic safety with the help of a unique playground area with a tunnel and special effects. “I first noticed different road safety levels when I moved here from Italy and saw that everything is in better order in Slovenia. In Italy, nobody teaches kids about road safety when, for example, preparing them for the bicycling exam. What children can experience in Minicity is splendid. Just by playing, toddlers are already learning what is right and what isn’t, when they can cross the road and when they have to wait,” said TV moderator Oriana Girotto at the opening of the new traffic playground unit. With the investment worth almost 200 thousand euros into the interactive motor-didactic playground unit, which is officially certified and meets all the required safety standards, as well as into the new expanded space, another seven new playground areas opened in Minicity Ljubljana: The House of Good Bacteria by Ewopharma, The House of Natural Cosmetics by Essentiq, Printing Works by Printpoint and Epson Avtera, The Television Studio by RTV Slovenija, Fotkarja Photo Studio by Matej Jamnik, s. p., Modra hiša (“Blue House”) by Telekom Slovenije, and The Tourist Agency by Palma and Bags&More. Listing new acquisitions, we should also mention the renovated units of puppy Monti from Zott and bear Ben from BenQuick. Those excited to celebrate children’s birthdays in Minicity (a unique experience) have also gained additional space. In addition to the coffee shop and confectionery Kavarnica & slaščičarnica, where customers can rest during their visit to Minicity, which on average lasts more than 3 hours, visitors can now also take advantage of the new reading nook and internet corner as well as the new didactic toy shop Toys4U – Didaktične igrače, which is the first to offer the children’s brand Coccodrillo on the Slovenian market. “We are very pleased about the tremendous response of both parents and children – to date, more than 300 thousand children and their parents enjoyed the entertaining educational contents in our Minicity, and this number is sure to rise with the expanded space presented today. 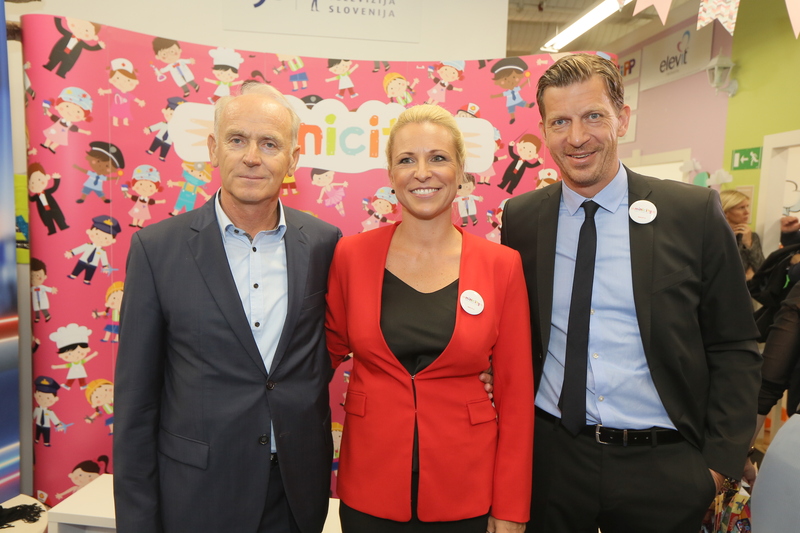 With the new contents, children will acquire even more useful know-how and skills by playing, and will especially develop their own competences, interpersonal relationships and respect,” said Business Director and co-owner of Minicity, Jasna Žaler Culiberg. Today, at the large opening event with a rich and free programme lasting all day long, Minicity will further open its doors wide open to 200 children from socially disadvantaged families, primary schools and kindergartens. They will be able to visit more than 40 playground units in the little city, have fun in the creative park with traffic-themed workshops, and try out diverse sports activities, while their parents can opt to attend talks on the safe mobility of children. In the afternoon, at 6 p.m., Minicity will organise a big free concert under the sponsorship of BTC City. The concert will take place right in front of Minicity in Shopping Arena A, entrance A1, next to the new Minicity entrance, through the shop Toys4U. The audience will be entertained by Rok Terkaj – Trkaj, Nipke, and Ribič Pepe from RTV Slovenija, which will present its new season of radio and TV shows developed as part of their youth programme. Meanwhile, the new didactic toy shop Toys4U – Didaktične igrače will present the new children’s clothing brand Coccodrillo at a kids’ fashion show. Get your free ticket for the event at www.minicity.si. 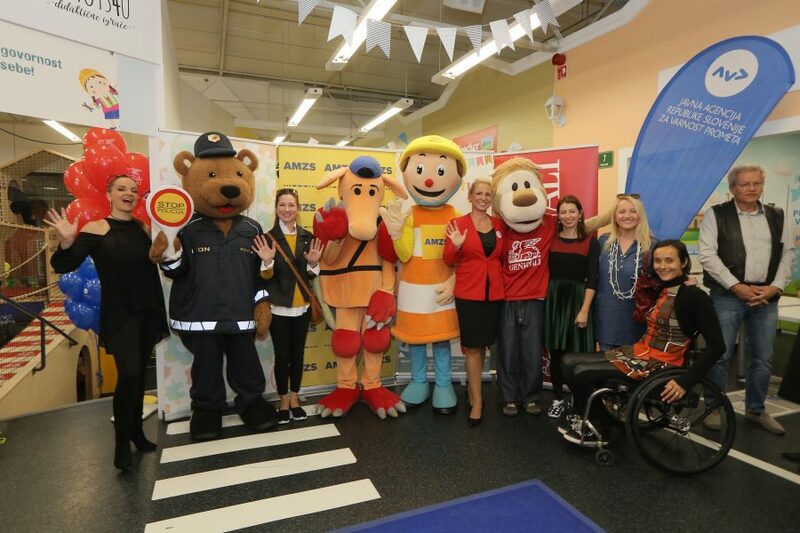 Celebrating together with the children will be many famous Slovenians, including Jasna Kuljaj, Špela Močnik and Lea Sirk, as well as road traffic safety and Minicity supporters Jerca Zajc Šušteršič, Nina Gajič, Danaja Obak, Anja Oman, Ana Klašnja and Nuška Drašček. Minicity Ljubljana, a little city spread out on more than 1500 m2 of surfaces, is visited by more than 65,000 people every year, including organised groups from more than 120 primary and nursery schools from all over Slovenia. It offers a unique opportunity for the practical learning of different professions and everyday skills with the help of realistic props in miniaturised offices of real institutions and companies. Several times a year, Minicity Ljubljana opens its doors free-of-charge for children from socially disadvantaged families. It also has a team of 50 multilingual educational entertainers (so-called “animators”), who can take care of the children of foreign visitors, and skilled personnel for children with special needs as well as regular childcare. They regularly host expert talks focused on education and didactics, and provide an information network for educators, teachers and pregnant women. The latter are invited to the already traditional events called Okrogli trebuščki (“Round bellies”). For companies, Minicity represents a unique and novel media format for the interactive presentation of their products and services to family target groups. The design of their programmes, provided to children through interactive and educational games, actively involves pedagogues and psychologists. Additionally, the Minicity family already embraces more than 50 private and public companies, which co-create its content. In Minicity Ljubljana, children can visit more than 40 different playground units, miniaturised offices from different industries, and get to know more than 50 different professions.